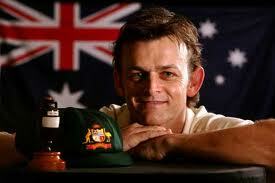 Adam Craig Gilchrist,the Australian international cricketer was well known batsman for his aggressive batting. Gilchrist was born in 14th November, 1971 at Bellingen Hospital, in New South Wales. He have 3 elder brothers. He lived in Dorrigo, a part of New South Wales. Then he moved with family to Lismore, where he start his cricket career. He captained the Kadina High School cricket team and selected for the state under-17 team and he performed well as a result he was selected to the national team. He married his school friend Melinda. He have three sons, Harrison, Archie and Ted, and a daughter, Annie Jean. He was an record-breaking wicket-keeper as well. He is the top wicket keeper done most number of dismissals in One Day International cricket. He is the only batsman hit 100 sixes in Test cricket. He is the person hit second fastest century (against England at Perth) in all Test cricket. Gilchrist is one of the gentle cricketer who walks out when he considers himself to be out.